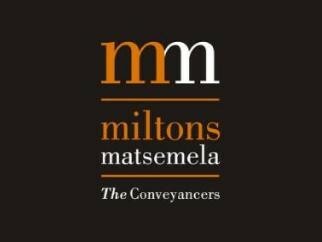 "Their deals are well structured"
We at Miltons Matsamela Inc have been dealing with Heads Residential Property for longer than15 years.We have always found Jonathan, Teresa and the rest of the Heads team incredibly knowledgeable and passionate about their business. What specifically impresses us is the fact that the Heads team is fully committed to each and every transaction, not only until the date of transfer, but also in their after-sales service to their clients. They specialise in selling property in very specific areas and have accordingly acquired the relevant local knowledge to best advise sellers and purchasers in their area of expertise.It is therefore a pleasure for our firm to attend to the conveyancing work if the sale was negotiated by Heads Residential Property as their deals are well structured and with their support, this leads to successful and timeous registration of the transaction which is in the interests of all parties concerned. "I cannot recommend them enough"
My husband and I were living in a small flat in Sea Point and decided, because of our growing family, that we needed to move to the Southern Suburbs for some more space. We went to an open house in Harfield Village and 2 hours later we had put in an offer! Jonathan from Heads was the one who broke the news to us- the owner had accepted the offer! The process ahead of signing papers and transferring the property was seamless thanks to the efficiency of the team at Heads. I really got the sense that they were just as excited as we were that the property was now ours. They even delivered a box full of goodies for our new house which was a wonderful touch. I have since dealt with Heads in getting an updated valuation of our house as well as referring to them for advice on buying another property which has been invaluable. They work with a real personal touch and have helped myself and my other family members hugely in the process of property buying and selling. I cannot recommend them enough for their personal and professional service. "Plain sailing thanks to the team at Heads"
Both the sale of our previous home and the purchasing of our new home was plain sailing thanks to the team at Heads. They were friendly, efficient and very professional. It was a tough move for my children and I, having lost my husband not long before that, but Teresa, Kyle and ?? supported us through it with great care and sensitivity. They were patient and understanding when there were some hitches to do with my late husband's estate, and the whole process was made so much easier thanks to their expert knowledge and expertise. It was definitely the right decision to engage Heads to sell my property.Teresa and Jonathan are delightful to deal with, as is everyone who works in the company. They are highly professional and knowledgeable and helped me enormously to make the whole process as easy and seamless as possible as well as selling the house incredibly quickly. I would definitely and confidently recommend them. I have had the privilege of dealing with Teresa, Johnathan and their team for many years.We have done 3# transactions together - both sell and purchase - everyone a pleasure.Valuations are spot on - property presentations professional and above all, Heads are prepared to listen to their client and take whatever action the client requires in order to make a sale or purchase. They have always been my go to agent in the greater Harfield and Kenilworth area. 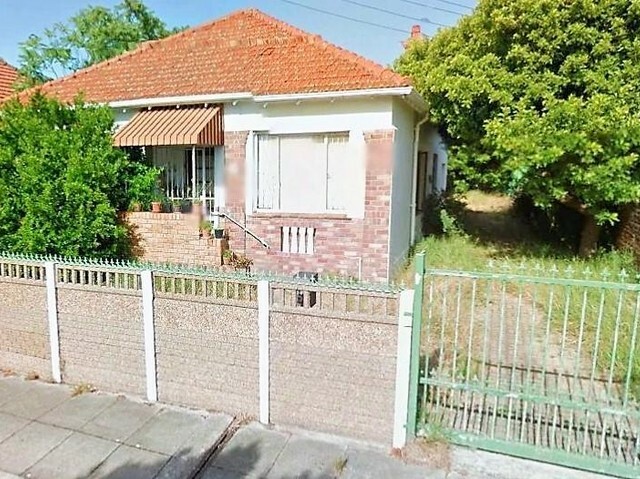 "We were so satisfied with our dealings with HEADS"
We bought our house in Harfield Village, Claremont, Cape Town through HEADS towards the end of 2016. Our payment method was somewhat convoluted, involving payments from different external sources at different times. HEADS helped us negotiate with the seller to accept these terms, and also volunteered to accept a deferred payment of the agency fee due to them, in order that we could pay the seller first, which enabled us to buy the house that we really wanted. "We were especially impressed with Candice Rouse"
I think I speak for both myself and the seller in commending Heads Residential for their solution-oriented approach to the sale and purchase of our home. From inception to six months post the sale and registration of our newly bought house, Heads Residential consistently and diligently ensured that the snags were attended to and finalised. "Great to work with such a professional estate agency"
I purchased my home from Heads Property and LOVE it! Having bought many houses over the years, it was great to work with such a professional Estate Agency who made the entire buying process as smooth as possible. Jonathan always gives really great property investment advice and is never too busy to answer any queries. I would definitely use their services again. Dealing with Jonathan from Heads Property, was an absolute pleasure, from first meeting him in the Sunday show house, which I eventually purchased.He was attentive, without ever being "pushy" and always responded quickly to all of my queries, around the sale, offering excellent advice and support when needed, when I increased my bond amount mid - registration. Beyond this un-agent-like type of behaviour, he really came to the party when he offered to contribute to roof repairs, when the sellers, who had emigrated, failed to, and connected me with an excellent roof specialist, who undertook the repairs.I wouldn't hesitate, to use Jonathan and his team to sell or buy a property in the future. "Professionalism and attention to detail"
Thank you so much to you and your team, Tim, Jared, Cheryl and Trish, for all your help over the past 9 years in managing the rental of my property. Your professionalism, attention to detail, prompt communication and all round service excellence is much appreciated. I wish you and Heads Residential Property all the best and recommend your services to all in Cape Town. "Grateful to Teresa for gently walking us through"
We love our home and are very grateful to you for gently walking us through the whole process as first time purchasers. And to Jared too for being so ready to assist us when we were feeling like we might never be able to find a replacement tenant. We had a great experience with Heads and Teresa Curran in particular. She showed us several houses, helped us understand the buying process and was able to successfully negotiate the complicated purchase of our house with both parties feeling satisfied. And when I was not about to find what I wanted Kyle and Joanna (again) saved the day by producing the perfect place to rent right on time! Talk about timing! Thank you for all your time and effort in selling my property and putting me first the whole way! A huge thank you to Kyle and Jo Curran for seeing us through a sale and a purchase so efficiently! We had recently lost out on a lovely property, when Jo contacted me to let me know of something similar that was soon going to hit the market. Long story short - we loved the place and haven't looked back. Kyle and Jo always responded to our requests swiftly and went above and beyond to make the process as painless as possible. Many thanks to you both! "Teresa at all times friendly helpful and informative"
Around Easter 2014 I moved from KZN to Cape Town. Fairly soon I decided that the Harfield/Claremont/Kenilworth area should be my main search area. One Sunday I spotted a Show House in Claremont, went in, and met Teresa who was busy showing many visitors around I viewed the house, and felt almost straight away that this place was perhaps "the one", Next day I went to Teresa's office, signed an offer to purchase, and "the rest is history". Teresa was at all times friendly, helpful and informative without being in any way "pushy". I would certainly approach her again, should I decide to move. "We would highly recommend Heads"
We would highly recommend Heads. Teresa and her team are very professional, friendly and helpful. They helped us find just the right house at exactly the right time!! 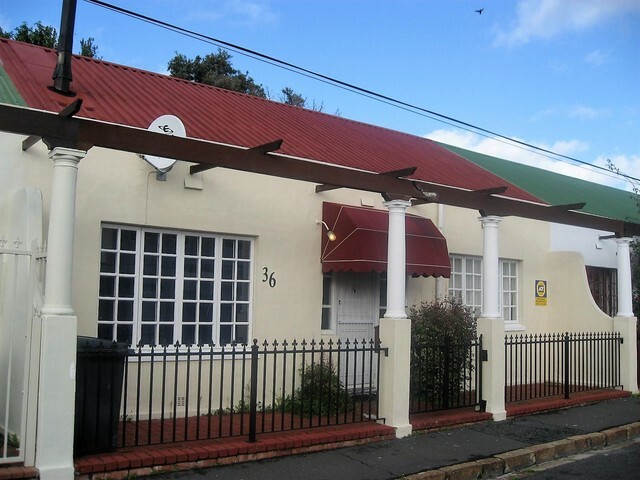 "I am happy that I chose Heads"
I am in the final stages of the sale of my house in Harfield Village with Heads Residential Property agency and want to place on record my appreciation of the smooth passage of this very important transition in my life. I chose Heads not only because they had originally sold me the house I have lived in and appreciated for more than 20 years, but because their offer of services showed an active understanding of my particular circumstances, rather than approaching me as just another potential client to be slotted into the sales process. There was also a realistic and strategic understanding of the advantages and limitations the property offered as set against a clear-sighted evaluation of the profile of the local market. Most important was a good understanding of the potential match between the local market and my property; my circumstances; and the needs of the different buyers interested in the local market. This meant that the sales process could be well targeted. From a practical point of view, I was well briefed on what my obligations were as seller; and how best to prepare the house for sale and show days and I was offered good assistance in this regard. Additional viewings were handled very smoothly, avoiding excessive disruption in spite of the large number of viewers who turned up. I was given clear and honest feedback on reactions to the property and expert advice on how I might respond to different offers. Once an offer had been accepted, the processing of the sale, with its legal, bureaucratic and financial requirements, was extremely efficient. I was kept very well informed as the sales process moved between its different phases, and what was expected from me, rather than the bureaucratic nightmare that I feared. Moving into the final phase of transfer, I am happy that I chose Heads. Thank you for guiding us through buying our first home. We appreciate the role you played, and the care you took throughout the process. We are incredibly happy in our new home.